The world is growing smaller, and so are our tech gadgets, exemplified by the massive popularity tablets, whether Android Tablets, Windows Tablets or Convertibles, continue to enjoy around the world. Okay, so I hear you say: “Smaller? Don’t you mean to say bigger?” Naturally, because like quite a few people online shopping these days, you think of a tablet as a slightly larger phone. Actually, a Tablet is a PC which is a Personal Computer. The operating system notwithstanding, be it an Android Tablet or a Windows Tablet, a Tablet is chiefly classified as a computing device, as against a phone’s classification as a communication device primarily. You buy a Tablet for its awesome mobility fused with impressive computing power, which you get with this Device. A convertible is a Laptop that folds back to become a Tablet. These are usually Windows-based and are also called a 2-in-1. There are a lot of good reasons why you really ought to buy a Tablet today, and they include their form factor, which makes it highly mobile, availability of Apps, especially for Android Tablets, and the fact that you can use them as desktops with OEMs or docks. Whether you chose to go with an Android Tablet or a Windows Tablet, you will be getting a great device for work and play. 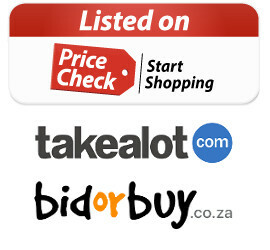 Online Shopping for a Tablet in South Africa, Europe, the USA or Asia has never been easier. You can purchase at dedicated brand stores or retailers. Either way, you are in for an amazing experience.